Have you set up your online store but are not getting any sales? Regardless of how appealing your products are, or how smooth the navigation is from selecting a product, purchasing and then paying for it, if your website lacks the traffic to begin with you will see little activity. Today's post runs you through five tips to drive traffic to your website. Make use of social media platforms like Facebook, Twitter and Instagram to get word out about your venture. Before it's up and running, put up 'coming soon' notices that will create interest and pique curiosity. You could offer opening discounts codes to those who sign up to your mailing list. This way you will also build a list of potential customers to target with email marketing. You may want to limit these discount codes to the first 100 customers to sign up. If your ecommerce business has already been running and your recently switched to a new website you could run an 'anniversary' or 're-launch' discount code instead. On your website, put social media buttons that link to your pages. Ensure that you have accounts on the most popular platforms such as Twitter, Pinterest, Instagram and Facebook. It is well worth it to hire a professional photographer to take photos that will cast your products in the best light. Visuals can be a huge deciding factor for those looking to buy, so high quality photos are a must. With a Pinterest 'Pin it' button on your website, you will encourage browsers to 'pin' products on their Pinterest boards. You can track what people are pinning using Pinterest analytic tools. It is indicated on the Pinterest business blog that over 90% of those who use this platform use it to gather information about products and plan their purchases. On Twitter, you can promote your e-store and let people know when you have new products, content on your website or special offers. An engaging tweet on Twitter can go a long way. On Facebook, you can show and tell browsers what your store has, answer queries and get feedback. You can also run competitions. A lot of well-known eCommerce sites have blogs on their website. Not only do blogs help to keep existing and potential customers updated on new launches and company news but it can also improve your SEO efforts. Your blog can offer advice, tips, recipes or company news. You may want to post testimonials or you could feature content from other's (with their permission of course). For example if your website sells clothes you could post blogs of how people style their purchases. Whenever you post new content on your website, post links to it on your social media platforms. This will encourage people to share your content and to visit your website. Shoot videos and podcasts to demonstrate how to use the products you are selling or their benefits. People really related to actual people and being shown more than only being told. You can also get word out about your expertise by writing articles for professional networks like LinkedIn. Whatever line of products you are selling in your store, there are people out there who like and use them and would buy from you if they knew how to find you. Blogger outreach programs are a relatively new phenomenon but have proven to be highly lucrative. If you are able to reach out to bloggers with a wide audience and ask them to do a shout out about your store or particular product you can see an increase in sales. Send them some photos, a link to your website and a brief cover letter talking about your store and that you'd like them to cover it in their blog. If they take you up on it, it can make a big difference in bringing traffic to your website. Some bloggers may request payment for an advertising post, or a cut of any sale made. You should always put your logo onto any images of your business or products. That way if someone stumbles across your image they will be able to trace it back to your website. You may also want to write guest blogs for popular websites. Some will allow you to put a link to your website on theirs, which will help boost your SEO and traffic to your website. Sell Online Like A Pro! If you are interested in starting an Ecommerce business as your main job, or a side project then you will need to invest some time and effort into properly promoting your products. 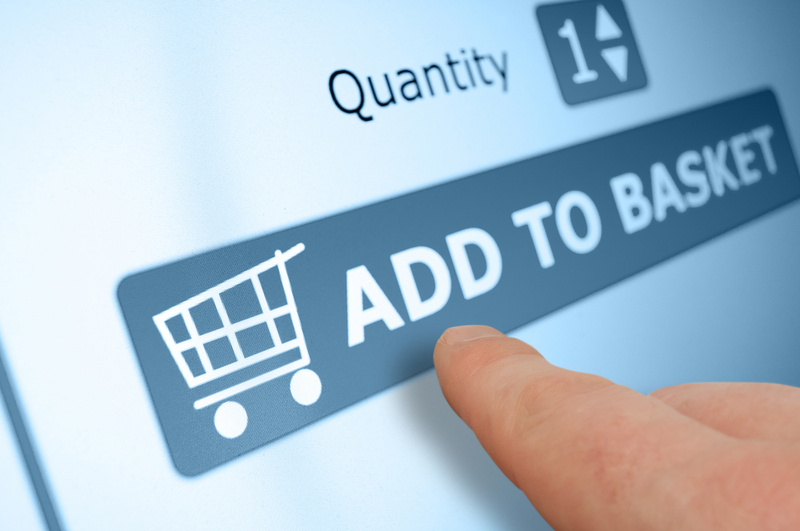 For more information about setting up an online shop, you can contact Kommand. Our monthly packages start from as little as £25.00 per month.